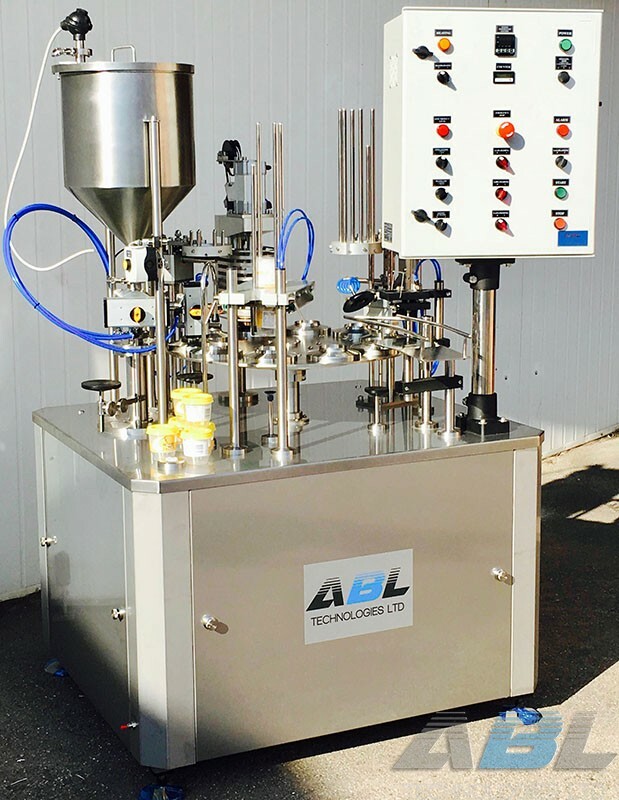 ABL Technologies Ltd manufactures semi-automatic and automatic cup filling and sealing machines. Cup filling and sealing machine are accurate and reliable, enable continuous operation without stopping . The machines are designed for filling products such as: milk, juice, jam, spreads, mayonnaise, syrup, creams and other similar products. Cups and containers that are used can be made from PP, PE, etc. All packing machines are with easy access to the operator. It is possible to partially adjust the machine according operator's demands. The machines are constructed of stainless steel and food standard approved. The machines include advanced control panel that controls all functions of the machine. All packing machines are supplied with operation manuals and maintenance instructions. Our packing machines include operator kit and warrantee service period. To obtain a quote, please contact our sales department contact form.